The IPC-650 ultra-low background windowless automatic is a newly redesigned instrument based upon the IPC-650, which was the foundation product of Protean. The IPC-650 is intended to address only the radiochemistry market and does not have a built-in interface, thus is only operated from a PC running the Vista 2000 radiochemistry software. 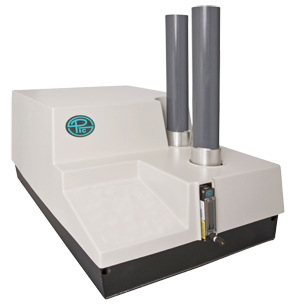 This hemispherical windowless gas-flow proportional counter design offers the best efficiencies available for low-energy beta and alpha particles.